A few ice crystals, earth particles, water droplets and fleeting rays of sun romance with each over an expanse of the Indian ocean. The romance is short spanned as wind flows through them and reaches the higher altitude of Western Ghats. life transforms, first into petrichor and then pouring showers. The thirsty Earth quenches her thirst and regains a new life. The ancient traces of Gondwanaland takes a rebirth! No wonder why monsoon is a celebration of life in the highlands of Indian peninsula. 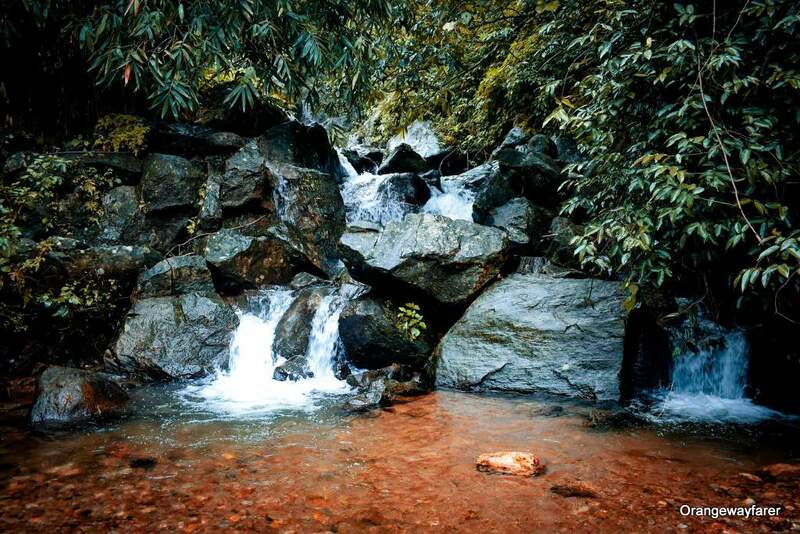 You have not been introduced to the grandeur of nature until you have seen the best of monsoon, especially in Kerala! 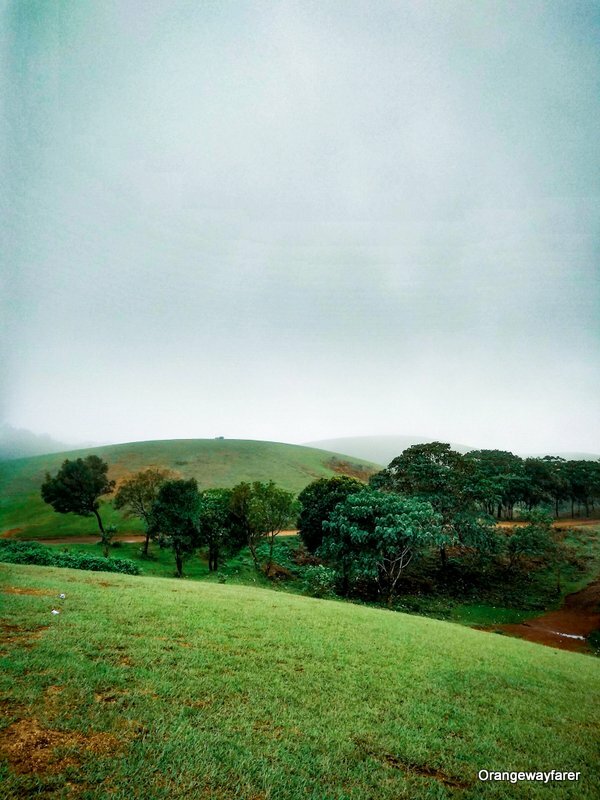 Monsoon in Kerala: Think Beyond Munnar, Explore Vagamon! Vagamon remains under the shadow of her overpowering cousin Munnar, a famous tourist destination of Indian peninsula. 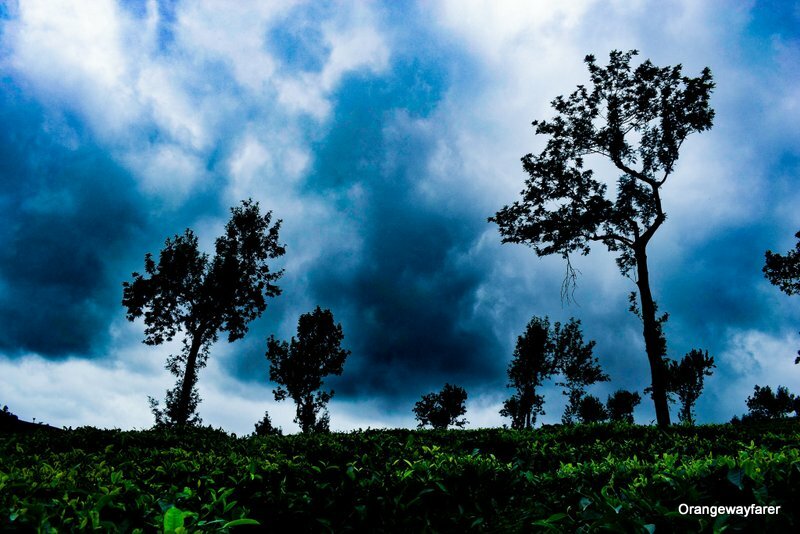 While Munnar, “the Kashmir of the south”, a hill town from Kerala, astounds the tourist groups year round with plenty of manmade dams and picturesque tea gardens, Vagamon promises a respite from the regular and incessant batches of outsiders that frequent Munnar and sleeps in somber peace. There are promises of nascent mountain valleys punctuated with cloud passage, rippling tea gardens carpeting the mountain valleys, winding roads that a Mahindra jeep dare to venture in and the monsoon fountains, which leave no trace behind as dry winter beckons. 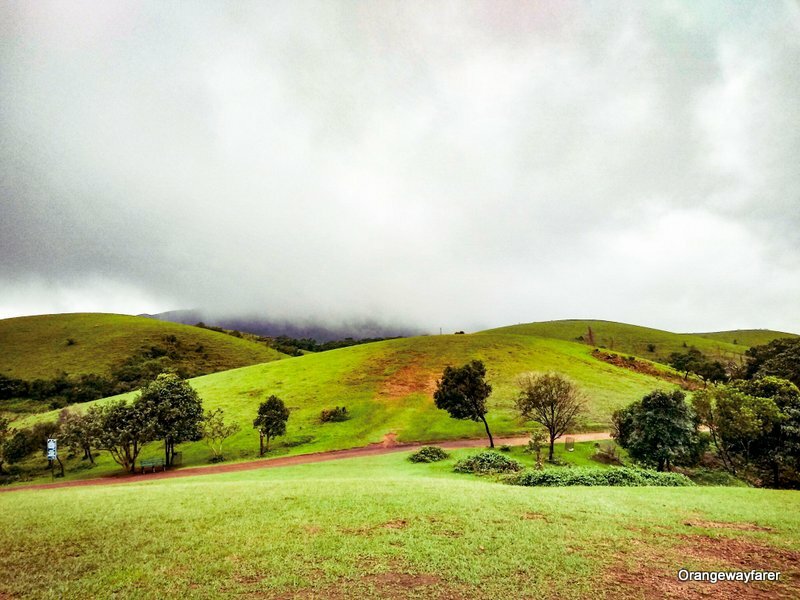 Vagamon, otherwise known as Wagamon, stands quite with beautiful meadows, plunging falls and welcoming locals who bask in the glory of pristine Western Ghats beauty! Munnar sure is beautiful. But I will hardly recommend it to my readers, especially during high season. Human presence has taken a huge toll on Munnar’s valleys. The misty mountains you want to walk into can only be accessed after a long queue with regular low life clatter. I took an overnight bus from downtown Bengaluru to reach Vagamon. It was a rickety bus with swinging window curtains that brought in fresh mountain air the next morning as it started the ascend to the ghats. In fact, the bus stops at a small town named Kumily. If you remember the dreamy sequences of Mani Ratnam’s movies where the heroine steps out from those olive green government bus with unkempt hair and bewilderment in her eyes, you find them aplenty in Kumily. They ply from Chennai, Madurai and faraway Bangalore and bring in the offbeat travelers’ lot! There are frequent buses from Chennai to Vagamon that run on the private banner too. Want to travel with Indian Railway? Reach the station of Kottayam. You can rent a car or ride a bike from there. Shared taxies are available as well. Oh Kumily: You are a Good Surprise! Kumily is what you should call a sleepy town. It is a beauty of its own! We had stopped for a hearty breakfast of beef fry and appam after a nightlong journey! There is an Arya’s restaurant that serves pure vegetarian food too! The town has the quintessential Kerala identity, red flags with Communist signs, a movie poster where a Mallu gangster is wearing a mundu and petting a dinosaur (not kidding and this is not even Bollywood), streetside vendors selling blooming white marigold, all of them form the evergreen part of the local culture of Kerala. The Jeepstand has many jeeps in the waiting. Poster of tiger trails and wildlife adorn the ticket counter. There are many lodges in Kumily, where you can park yourself for a cheaper rate for the night. The jeeps will charge anywhere between INR 800 to INR 2000 depending on the season and demand. But Why Kumily when the Mountains are Calling? I suggest, ditch Kumily. 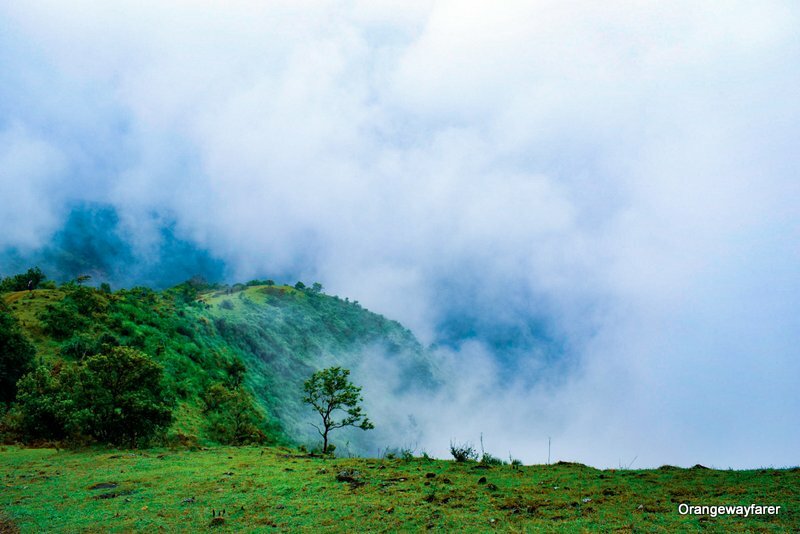 If you have skipped Munnar and are longing for an offbeat Kerala monsoon mountain, head straight to the Vagamon valleys. I decided to camp with Exoticamp who pioneer in the curated camping experience. They have a private space on top of the mountains that let you glimpse through a stunning valley. We headed straight for the campsite. I traveled with a group of people from diverse backgrounds. Some of them are veteran doctors, some of them are just about to start a career, some are students of a prominent university in Chennai. They all have a story to tell, an aspiration to accomplish and yet share the same zeal of traveling. We rejoiced with the simple pleasures on road. And there were plenty! There is a communal sense of awe as the lush valleys begin to appear in the vicinity. The tea gardens date back to British colonial times. they remind me of the mountains of Darjeeling where Himalaya infuses a bit of his grandness in the tea leaves. Gushing waterfalls cuts through the paved roads. There were intermittent rains all the way up. The mountains smell of monsoon, I would not be exaggerating if I am saying this! 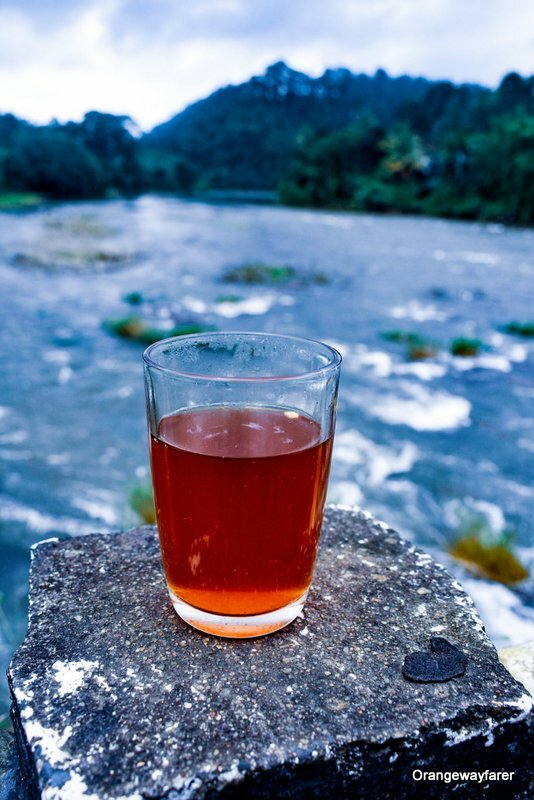 The Chai-break stops en route where a hot cup of lemon tea is served by the flowing river are often accompanied by laughter and upcoming travel plans. We stopped in between in many places and put the mighty DSLR into use, because why not? The campsite: an abode in the cloud! A short walk amid the cloudscape and we reached the campsite. It was beautiful! We shared the camps with fellow travelers and jostled to have dinner as rains started to pour in at night! It was fun. It was even better sleeping hearing the pitter patter raindrops sound on the tent! Also read: How to walk into a swamp of fireflies in 4 hour’s distance from downtown Mumbai! Monsoon Treks: to go or not to go? There are arguments about camping or trekking during Monsoon. That it compromises on safety, that it may take a toll of the decaying forts if any, that it may create a buzz among the resident snakes and disrupt mating frogs. Above all, the very decision of traveling maybe raise a few eyebrows as the rest of the state is flooded, even some reports of missing citizens make headlines in Google news. While I fully understand the reasons and endorse the cause wholeheartedly, I also feel an obligation to state that Vagamon is ethereal during Monsoon. Word will never suffice to pen down the few nights I had spent on the mountains. We took particular care to travel in a zero waste manner. We left no trail behind. Not a single sign of plastic was left in the mountain. That, itself, is a high standard of camping. It is beautiful to drench your feet in the ice-cold water of rivulets and even climb the sheen of the age-old rocks to the top of the water source. However, it is also important to allow locals to use this water for household purposes. We found a few tankers queuing up to fill up water which is to be used for cleaning house and clothes (mostly serves the hospitality industry). 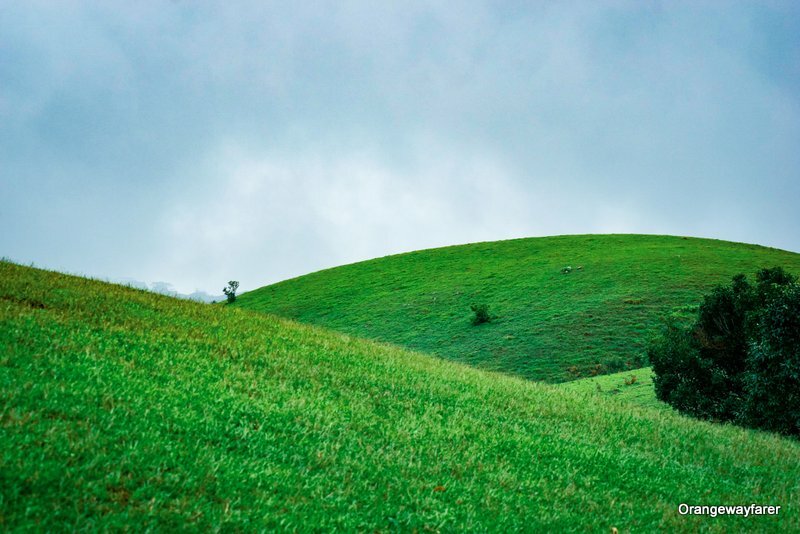 Be a tourist in Vagamon: explore these tourist spots! 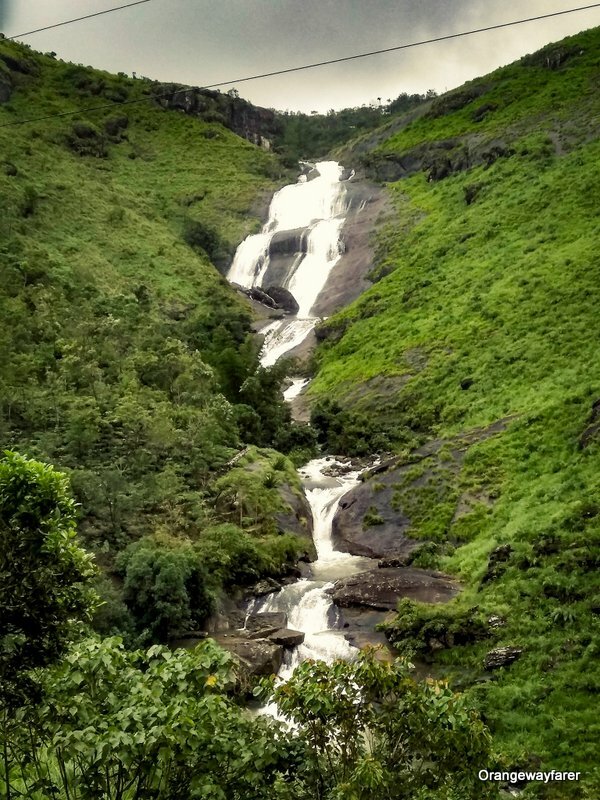 There are plunging falls from many curves of WesternGhat mountains. One of them is the renowned Milky Falls. I suggest making a quick stop by the side and indulge in a double duck-egg omelette. The fresh flavors of black pepper in fried eggs.. enough said! This is where Bill Gates came to choose his Windows wallpaper. Well, maybe? This is also the reason why paragliders decide these vast sprawling green grouds are the best place to alight! April is the season. The meadows are a big favorite among the locals who come in numbers during winter for a picnic. The entry fee is INR 10 with extra 50 bucks if you decide to click photos. Ah. The name explains it all, right? Local folklores will tell you stories of star cast lovers who ended their fateful lives but hey, do not trust them. Suicide point is a place by the edge of the mountains that can usher you with a pristine view! We saw them afar. In the monsoon, it is muddy and slippery! It reminded me of Ooty and Kodaikanal. The misty mountains, abandoned bungalow of tea garden owners and pine forest, a perfect combination for the ghost stories or Anjan Dutt song? Year 2018 is all about the elusive Nilakurinji flowers blooming in Kerala, the purple-blue flower which promises to wipe out the slopes of the mountains of Ghats. I was told, like many rumors, the “only this year Nilakurinji will bloom for this decade” is another well-made marketing gimmick. The flower, apparently blooms every 12 years but not all the batches bloom at one go. 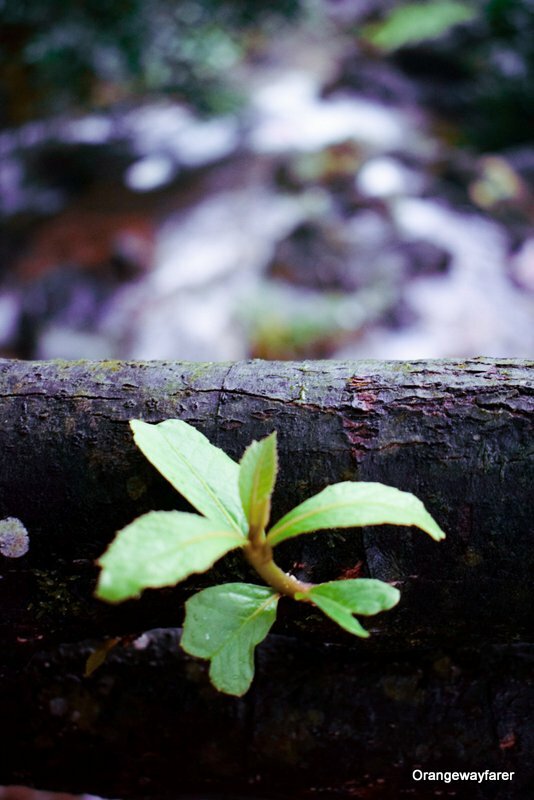 Come August, I plan to venture again to the mountains and hope to see the bloom. Carry your medicine, light snacks for camping. The nearest town is 25 KM away. If rains become a bit overwhelming, do check in with a homestay if traveling alone. I would always suggest going with a group of expert trekkers since Google Map is of little help. At Vagamon, you are in for a complete digital detox. ***My stay and commute were sponsored by Exoticamp. Opinions are always of my own. I have camped a few times previously but needless to say, this particular experience was special. It had to be since Exoticamp curate tent stays and they are pretty famous as camping aggregator company in the country. I even heard Sam talking about a beach camping experience by Kovalam side. How cool would that be? alas, I was to leave for another destination soon after o else I would have loved to continue my journey with them. I would also like to mention the profound work they are accomplishing by not leaving a single trace of human habitat on the campsites. The camp was put up efficiently and dissolved in an even more professional manner. Plastic usage was brought down to minimal (only to drinking water) and everything was packed and brought back as we left the mountaintop. I guess that is how Vagamon is retaining the pristine charm of the Ghats. I felt absolutely safe during the entire camping experience. As a solo female traveler, especially a camper, I guess this is the most daunting hurdle we all have faced. the tents allocated were spacious and sufficient for all the campers. The co-travelers were nice and adjusting. We were given a brief stop at a base camp which is basically a traditionally styled Kerala house. It was very convenient to freshen up and take a bath. What a seriously dreamy place to go camping! Everything looks so ethereal. What a beautiful place to explore!! Are you tempted to go back after the monsoon has finished too? It must look so different without the mist! You pictures really capture the beauty here — so lush and dreamy. I’d love to see this part of the country. Thanks for sharing! So much info! I have never been to this part of the world, so I find this insight super helpful! Knowing this actually makes me WANT to go. Thank you! What a fabulous place to camp. I’d love to visit India one day, it’s on my bucket list! Wow what a beautiful area, I love how the monsoon season affects the environment and the views. The waterfalls and the fog make it look so much more amazing! Love the photos, they really give me a sense of the mood! I need to explore India, only been once so I’ll have to add this to my bucket list. Thank you for sharing!! so glad i came across this post as we are planning our December holiday and now I know where I want to go. 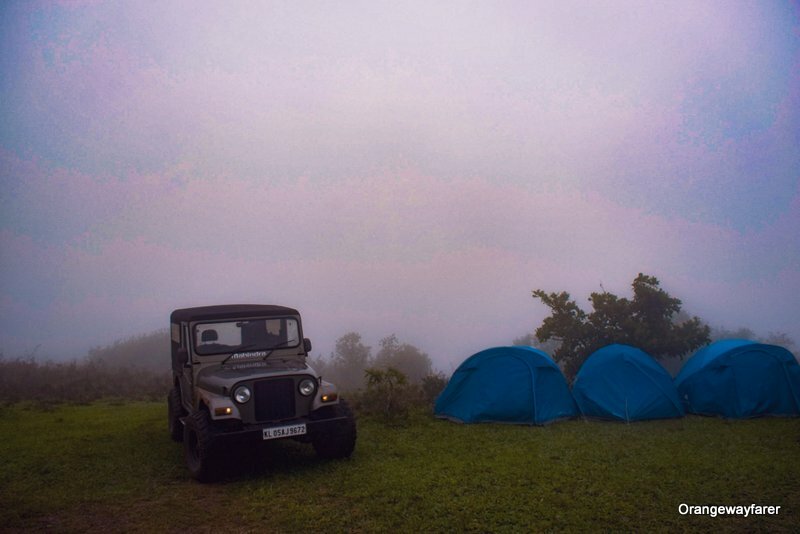 Camping in monsoon is a great idea and great to see more places other than lonavla feature in the list. Kerala is never on tourist radar but it should, it looks so raw and amazing! The pictures are so beautiful. I can only imagine how beautiful it must be in reality. I am a kerelite and havent travelled beyong north Kerela the malabar side. Would definately explore this area one day. Wow, sounds like a challenging experience but definitely worthwhile, and your photographs are stunning!